Статья раскрывает содержание и формы педагогической поддержки самоопределения старшеклассников посредством становления и развития у них готовности к самоанализу. Самоопределение рассматривается в единстве социального и внутриличностного, взаимосвязи процессов социализации и индивидуализации. Ключевые слова: период ранней юности, педагогическая поддержка, самоопределение, социализация, индивидуализация, готовность к самоанализу, самосознание, рефлексия. Газман О.С. Неклассическое воспитание: От авторитарной педагогики к педагогике свободы М.: МИРОС, 2002. 296 с.
Газман О.С. Педагогика свободы: путь в гуманистическую цивилизациюXXI века // Новые ценности образования: Забота — поддержка — консультирование. М.: Инноватор, 1996. Вып. 6. С. 10 — 38. Кон И.С. Психология ранней юности: Кн. для учителя. М.: Просвещение, 1989. 255с. Михайлова Н.Н., Юсфин С.М. 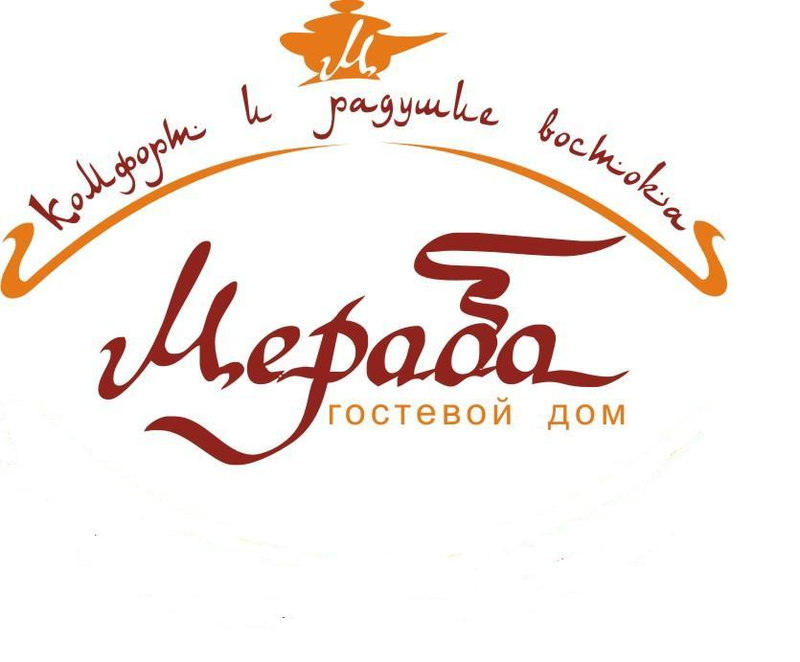 Педагогика поддержки: Учебно-методическое пособие. М.: МИРОС, 2001. 208 с.
Прихожан А.М. Психологический справочник для неудачника, или как обрести уверенность в себе: Кн. для учащихся. М.: Просвещение, 1994. 191 с.
Слободчиков В.И. Очерки психологии образования. 2-е издание, переработанное и дополненное. Биробиджан: Изд-во БГПИ, 2005. 272 с.
Фельдштейн Д.И. Психология взросления: структурно-содержательные характеристики процесса развития личности: Избранные труды. М.: Московский психолого-социальный институт; Флинта, 1999. 672 с.
Шустова И.Ю. Школьные события // Народное образование. 2013. № 1. С. 214—218. Шустова И.Ю. Модель воспитания в рамках рефлексивно-деятельностного подхода // Новое в психолого-педагогических исследованиях. 2013. № 3 (31). С. 156—170. Шустова И.Ю. Ситуативная педагогика, или Дети живут настоящим // Народное образование. 2014. № 1. С. 228—234. Шустова И.Ю. Педагогическая поддержка самоопределения старшеклассников средствами самоанализа: Методические рекомендации классным руководителям, воспитателям и школьным психологам. Ульяновск: УИПК ПРО, 2001. 44 с.
Bowker J.C., Rubin K.H. "Self‐Consciousness, Friendship Quality, and Adolescent Internalizing Problems." British Journal of Developmental Psychology 27.2 (2009): 249—267. Butler R.J., Gasson S.L. "Self Esteem / Self Concept Scales for Children and Adolescents: A Review." Child and Adolescent Mental Health 10.4 (2005): 190—201. Choudhury S., Blakemore S.-J., Charman T. "Social Cognitive Development during Adolescence." Social Cognitive and Affective Neuroscience 1.3 (2006): 165-174. Csikszentmihalyi M. "Toward a Psychology of Optimal Experience." Flow and the Foundations of Positive Psychology. Dordrecht: Springer Netherlands, 2014, pp. 209—226. Deci E.L., Vallerand R.J., Pelletier L.G., Ryan R.M. "Motivation and Education: The Self-Determination Perspective." Educational Psychologist 26.3-4 (1991): 325—346. Hagger M.S., Biddle S.J., Wang C.J. "Physical Self-Concept in Adolescence: Generalizability of a Multidimensional, Hierarchical Model across Gender and Grade." Educational and Psychological Measurement 65.2 (2005): 297—322. Hattie J. Self-Concept. New York: Psychology Press, 2014. 320 p.
Higa C.K., Phillips L.K., Chorpita B.F., Daleiden E.L. "The Structure of Self-Consciousness in Children and Young Adolescents and Relations to Social Anxiety." Journal of Psychopathology and Behavioral Assessment 30.4 (2008): 261—271. Lawrence D. Enhancing Self-Esteem in the Classroom. London and Thousand Oaks, CA: Paul Chapmen Publishing, SAGE Publications Company, 2006. 224 p.
Neff K.D. "Self‐Compassion, Self‐Esteem, and Well‐Being." Social and Personality Psychology Compass 5.1 (2011): 1—12. Neff K.D., McGehee P. "Self-Compassion and Psychological Resilience among Adolescents and Young Adults." Self and Identity 9.3 (2010): 225—240. Smetana J.G., Villalobos M. "Social-Cognitive Development during Adolescence." Handbook of Adolescent Psychology. Eds. R.L. Lerner, and L. Steinberg. New York: John Wiley & Sons, Inc., 2009, vol. 1, pp. 187—208. Tarrant M., MacKenzie L., Hewitt L.A. "Friendship Group Identification, Multidimensional Self-Concept, and Experience of Developmental Tasks in Adolescence." Journal of Adolescence 29.4 (2006): 627—640. Valkenburg P.M., Peter J. "Adolescents' Identity Experiments on the Internet Consequences for Social Competence and Self-Concept Unity." Communication Research 35.2 (2008): 208—231. Walker J.C. "Self-Determination as an Educational Aim." The Routledge Falmer Reader in Philosophy of Education. Ed. W. Carr. London: Routledge, 2005, pp. 74—82. The contemporary social-cultural situation demands wide requirements to the human personal activity of man, ability to realize and to analyze personal life situations, making choices. In the theoretical and practical aspect this phenomenon appears as the problem of self-determination. This problem is essentially important during the period of early youth. The purpose of my article is to reflect the object of experiment — to disclose the essence of the pedagogical support of the self-determination of senior pupils by developing in them readiness for introspection. The pedagogical support is the effective means and a necessary condition for the formation of readiness for the introspection, which, in turn, directs self-determination of senior pupils. The pedagogical support of self-determination includes the support of the processes of socialization (social self-determination) and individualization (intra-personal self-determination) in their close interrelation. Introspection is the mechanism of self-determination, it fulfills three functions: in the intra-personal self-determination — it is the basis of the dynamics of the processes of self-consciousness; in the social self-determination — it adapts a person to his social environment; as a whole, it actualizes and develops the subject position of a senior student in his life. The formation of readiness for the introspection is obtained as the step by step shaping of its three components: the value motivational, the informational and the operational ones. Any pedagogical support of self-determination of senior pupils contains: the creation of conditions for the satisfaction of the leading needs of age; the aid in the mastery of knowledge and of the methods of introspection; the pedagogical support when using of knowledge and skills of introspection for solving problematic life situations and intra-personal conflicts. The pedagogical support of the self-determination of senior pupils is of a special importance for the problematic situation, it helps to transfer the urgent problem into the framework task of activities with the tools of reflection and introspection. Keywords: early youth period, pedagogical support, self-determination, socialization, individualization, readiness for introspection, self-consciousness, reflection. Chesnokova I.I. The Problem of Consciousness in Psychology. Moscow: Nauka Publisher, 1977. 144 p. (In Russian). Feldshteyn D. I. Psychology Adulthood: Structural and Substantial Characteristics of Personality Development Process. Selected Works. Moscow: Moscow Psychosocial and Social Institute Publisher; Flinta Publisher, 1999. 672 p. (In Russian). Gazman O.S. "Pedagogy of Freedom: The Way of Humanistic Civilization of 21th Century." New Values of Education: Caring — Support — Counseling. Moscow: Innovator Publisher, 1996, issue 6, pp. 10—38. (In Russian). Gazman O.S. Nonclassical Education: From Authoritarian Pedagogy to Pedagogy of Freedom. Moscow: MIROS Publisher, 2002. 296 p. (In Russian). Kon I.S. Psychology of Early Adolescence. Moscow: Prosveshchenie Publisher, 1989. 255 p. (In Russian). Mikhaylova N.N., Yusfin S.M. Support Pedagogics. Moscow: MIROS Publisher, 2001. 208 p. (In Russian). 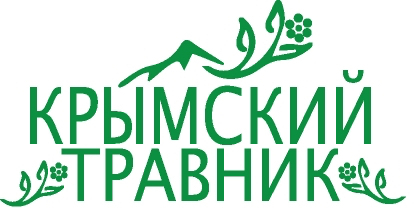 Prikhozhan A.M. Psychological Handbook for Failure, or How To Gain Confidence. Moscow: Prosveshchenie Publisher, 1994. 191 p. (In Russian). Shustova I.Yu. "Model of Upbringing in the Framework of Reflexive and Activity Approach." New in Psychological and Educational Researches 3 (2013): 156—170. (In Russian). Shustova I.Yu. "School Events." Popular Education 1 (2013): 214—218. (In Russian). Shustova I.Yu. "Situational Pedagogy, or Children Live in the Present." Popular Education 1 (2014): 228—234. (In Russian). Shustova I.Yu. Pedagogical Support of Self-Determination of Senior Pupils by Means of Introspection. Methodical Recommendations for Class Masters, Educators and School Psychologists. 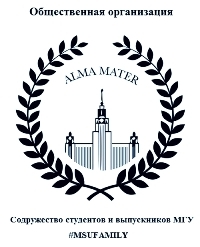 Ulyanovsk: Ulyanovsk Institute of Advanced Training and Retraining of Educators Publisher, 2001. 44 p. (In Russian). 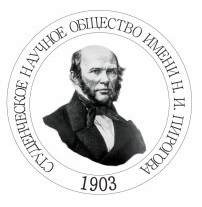 Slobodchikov V.I. Essays on Educational Psychology. Birobidzhan: Birobidzhan State Pedagogical Institute Publisher, 2005. 272 p. (In Russian). Shustova, I. Yu. "Pedagogical Support of Senior Pupils' Self-Determination." Elektronnoe nauchnoe izdanie Al'manakh Prostranstvo i Vremya: ‘Prostranstvo i vremya obazovaniya’ [Electronic Scientific Edition Almanac Space and Time: 'The Space and Time of Education’] 8.1 (2015). Web. <2227-9490e-aprovr_e-ast8-1.2015.13>. 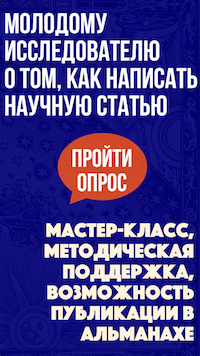 (In Russian).